Created by foreign Missions during the British Raj, the small Christian community in the Pakistan area has existed for nearly one hundred and fifty years. Due to its low socio-economic and elemental religious background, it has always suffered from an image problem. Under the British Raj, the security and well-being of this community was assured to a very large degree. But with the establishment of Pakistan-a constitutionally Islamic state and society-the circumstances of this small minority have drastically changed. Less than two percent of the population, this minority is being constantly challenged on socio-economic and religious grounds. The Islamic elements in the land are ill-disposed toward it and, every now and then, resort to lawlessness towards members of this small minority. 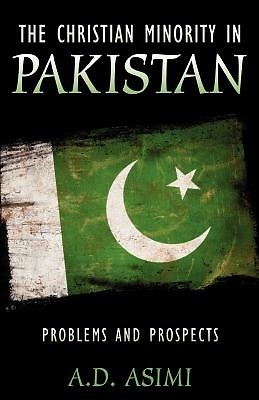 The author of this book has attempted to sharpen awareness of the problems of the Christian minority in Pakistan, and has proposed some steps that might alleviate these problems to a certain degree, including the development and practice of an Islam-reconciled Christianity. The thrust of his argument is that, when one is decidedly weak, and must remain so for the foreseeable future, it is best to acknowledge it and behave accordingly. One cannot safely dwell in the water while being on the wrong side of the crocodile.